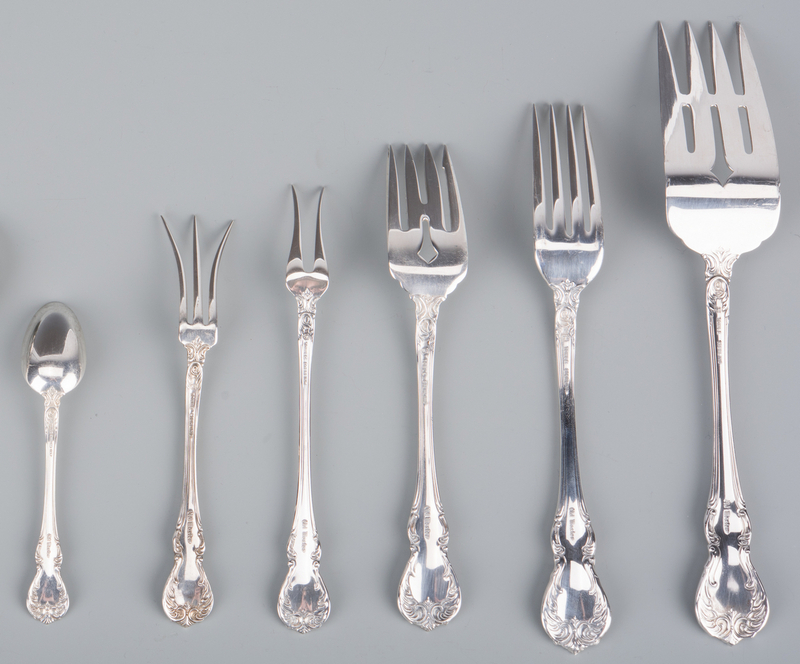 Lot 378: Towle Old Master Flatware, 71 pcs. 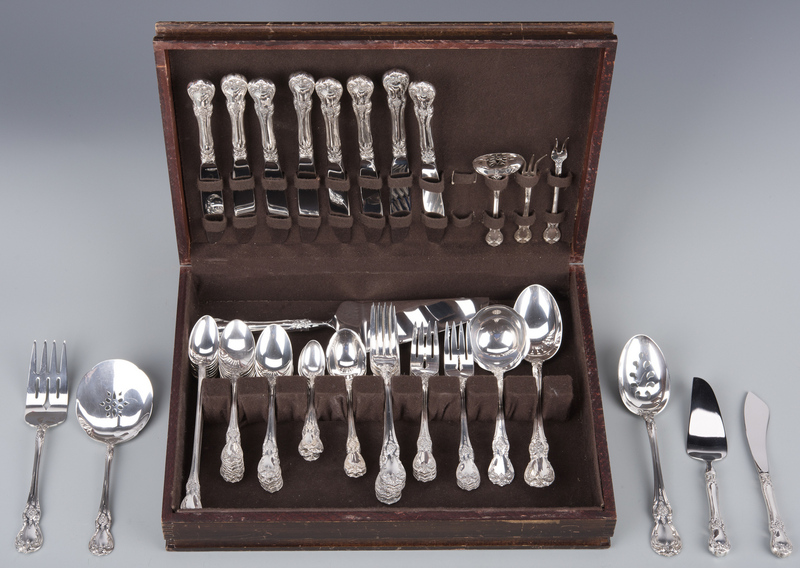 You are here: Home >> 2017 01 21 Auction - Knoxville, TN >> Lot 378: Towle Old Master Flatware, 71 pcs. 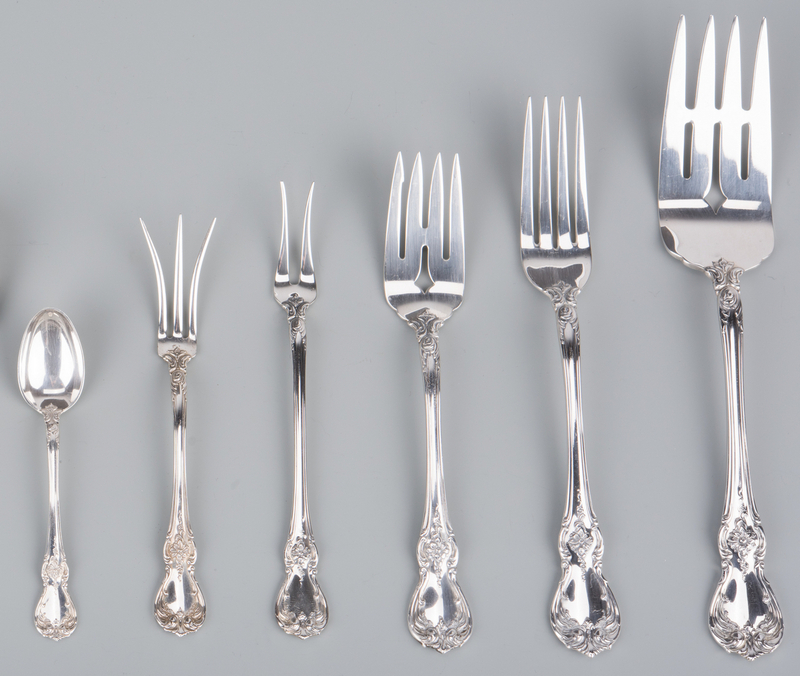 Towle sterling silver flatware set, Old Master pattern, 71 total pieces. 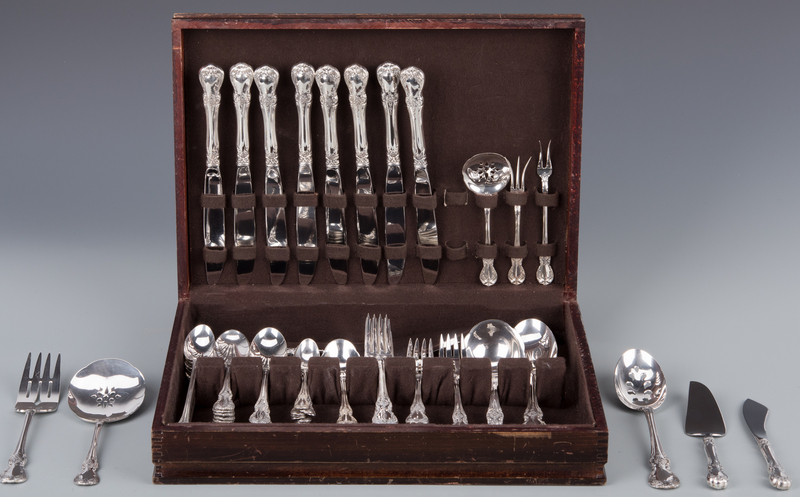 Includes 8 dinner knives (8 3/4" L), 8 forks (7 1/4" L), 8 salad forks, 17 teaspoons, 8 iced tea spoons, 8 demitasse spoons (4 1/8" L), 3 sugar spoons, 1 gravy ladle (6 7/8" L), 1 tablespoon (8 1/2" L), 1 pierced tablespoon, 1 cold meat fork (8 1/4" L) , 1 lemon fork, 1 olive fork, 1 master butter spreader, 1 tomato server, 1 bonbon spoon, 1 pie & cake server and 1 cheese serving knife. 72.2 total weighable troy ounces. 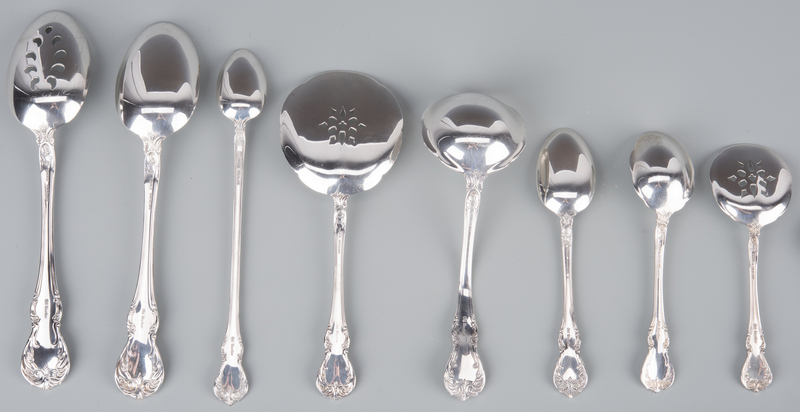 CONDITION: One teaspoon with discoloration possibly due to burning, unable to remove. Other pieces overall very good condition.